Q: Has Anyone Ever Found Out Who That "Young Man" Was That Mineta Was Referring to? And Were the Orders for a Stand-Down or a Shoot-Down? Q: Has anyone ever found out who that "young man" was that Mineta was referring to? This question was posed to David Ray Griffin in the following video at the 45:40 to 47:00 mark. The basis for his answer, "CIA-veteran Ray McGovern speaks about a personal encounter with Norman Mineta, where Mineta should have said, the young man was a 'scared civilian'. This would exclude [Douglas] Cochrane, because he was a 'naval aide' and must have been wearing an uniform." 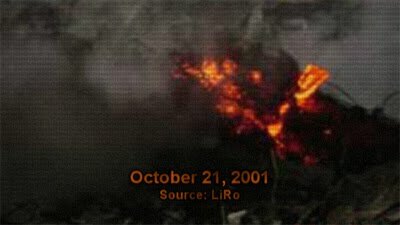 But the problem with that is, we people who "suspected" it was a military man in the room that day taking those orders did not just base our opinion on the logic that it is is not the job of a scared civilian or a Secret Service agent to be taking military orders, but on empirical evidence uncovered by 9/11 researcher James Dorman AKA jimd3100 indicating this is the case. (2)VP Military Aide (I believe his last name is Cochrane): The person at the Vice President's side in the PEOC who should have been intimately involved in the military communications chain is his military aide." Furthermore, when researcher Jeff Hill spoke to Cochrane and posed his first question, "When you were in the PEOC with Cheney and you asked him, if the orders still stand?... What orders were you referring to?" Cohrane replied (Note: his testimony is sealed so he can't say much) that he was "really not prepared to talk about this subject at all." However, he could have easily said: I'm sorry you have me confused with somebody else. I never asked Vice President Cheney if any orders still stood. If this were the truth it only makes sense that he would make such a statement, as opposed to offering numerous non-responses to Hill's continued questioning, along with providing Hill the cryptic statement, "Like I said I appreciate your inquisitive nature, ah, I am somewhat of a history buff myself. I appreciate your quest for knowledge, but I don't have anything else to add. And, and frankly this is kind of an imposition to call me on my government cell phone. I'm really not, I don't think it's appropriate, certainly not appreciated." I'm sorry you have me confused with somebody else. I never asked Vice President Cheney if any orders still stood. You'd have to track that person down to get your answers, thank you. At 4:00 in the video, Cochrane says 'Oh, I DO remember Secretary Mineta,' like his memory had just clicked and it surprised him. I would take this to mean Cochrane was almost certainly present at the events in question. Then he goes back to refusing to make any meaningful comments. But he NEVER DENIES that he was the 'young man' in Mineta's story. It sounds like he is very averse to lying, and so he just blocks out any real reply to that question. He never says "I don't know what you are talking about." All that Pat Curley could come up with as a defence at the Screw Loose Change blog in his post "Truther: Cheney's Order Was Shootdown, Which Proves.... Standown!" was, "One obvious question: If Bush and Rumsfeld 'knowingly' stayed out of the loop, why was Cheney's order issued too late?" If Cheney knew they were purposely staying out of the loop then maybe he didn't want to issue an early order and make them look even worse. Minutes after terrorists crashed hijacked planes into the World Trade Center, President Bush ordered military jets into the air around Washington with orders to shoot down any airliner that refused to turn away from the city, Vice President Richard B. Cheney said yesterday. Then he is a waste of time. The bottom line is that no shoot-down orders were issued until after the attacks were already over, a timespan of over two hours. Thought I'd post these two excellent videos of Popular Mechanics being (once again) debunked and exposed. This past Sunday Jim Hoft of www.thegatewaypundit.com ran the headline "Classy… Truthers Chant “9-11 Was an Inside Job” Outside Ground Zero Memorial." This makes it sound as if we were disrupting the memorial ceremonies taking place. I was there and this is not true. 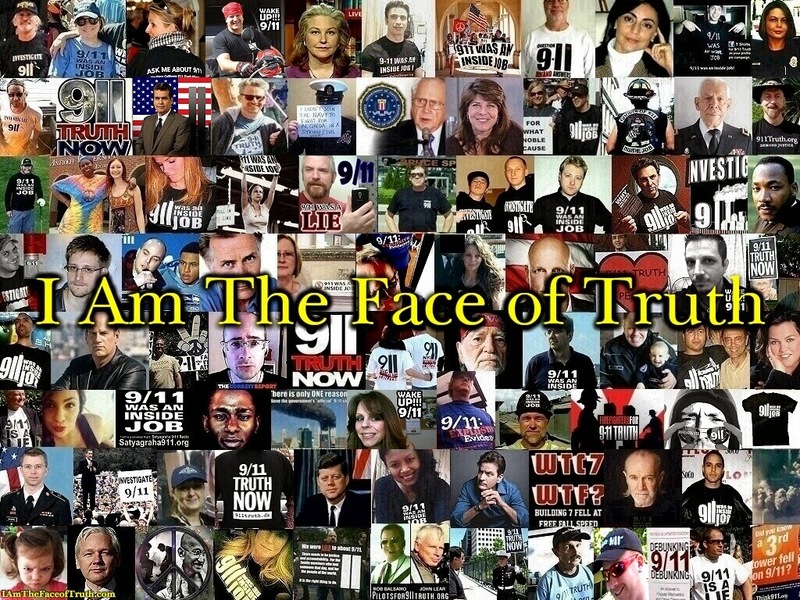 The truth is anyone wearing a 9/11 truth t-shirt or holding a sign who tried to enter the Ground Zero site were escorted to a barricaded area set up by the city away from the memorial site. It was in the vicinity, but not close enough to where we could be heard at the ceremonies. 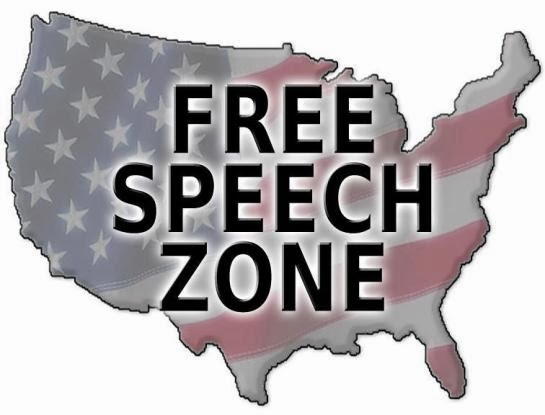 As Michael J. Hampson of Rutgers School of Law has argued "...the practice of moving political protesters into free speech zones at presidential appearances is an unconstitutional restriction on free expression. Such a procedure violates the protesters' First Amendment rights..."
Also see the May 2003 ACLU report: Freedom Under Fire: Dissent in Post-9/11 America. In any event, had truthers been allowed their constitutional right to peaceably assemble instead of being herded into a free speech zone the plan was not to be disruptive. ...When Mr. Rudkowski gathers with other activists at ground zero on Sunday morning near the official, private memorial service, he says, he will be in nonconfrontational mode. Next we normally gather at the 'Remembrance Fountain' in front of Building 7. This is where we read aloud the names of our 'Forgotten Heroes'. The First Responders who lost their lives after 9/11 and are not acknowledged during the "official" remembrance ceremony at Ground Zero. From here we usually line up and march to other important areas such as Police Plaza, City Hall, Union Square, Times Square, the CFR building, the Federal Reserve, etc. Jim Hoft at The Gateway Pundit also noted that someone was holding a sign near Trinity Cathedral reading "Google: Jews control the USA!," but this person was not with the 9/11 protesters. Hoft may think we were being disrespectful just by being there and expressing our freedom of speech in any capacity that day, well here are some people who disagree, just to name a few. Here is a related little incident that happened to members of a WeAreChange group I helped start back when I lived in Indianapolis. 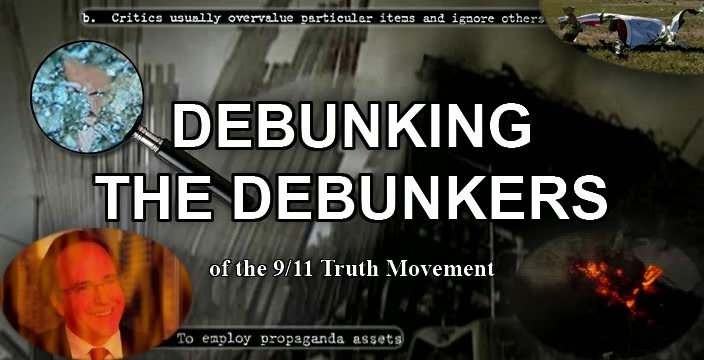 Another event that took place that evening in NYC was the premiere of the film, 9/11: Explosive Evidence - Experts Speak Out, (attended by truthers who came all the way from Denmark) which can now be viewed for free online. Senator Mike Gravel, a native of Massachusetts, along with Massachusetts 9/11 Truth activists, launched its campaign for a 2012 ballot initiative which seeks the creation of a Citizens' 9/11 Commission, by holding a press conference held on September 13, 2011 on the steps of the Massachusetts State House in Boston. The ballot question was submitted in August and was certified by Massachusetts Attorney General Martha Coakley on September 7. According to the Massachusetts initiative law, supporters must collect a minimum of nearly 70,000 valid signatures from registered voters by early December of 2011. Gravel will be working closely with the statewide alliance to create awareness of the initiative. The Senator will personally head the funding effort, which will be a worldwide campaign. Senator Gravel will be supported in the state by a coalition of Massachusetts 9/11 advocacy groups and local concerned citizens led by Rich McCampbell, a Cambridge-based biotech engineer, and Rich Aucoin, former Libertarian candidate for lieutenant governor who has worked in senior positions in three previous initiative campaigns. The group's slogan is "9/11--Never Forget." If the 9-11cc petition campaign succeeds in getting its measure on the Massachusetts ballot, and if it is approved by Massachusetts voters in November of 2012, the primary work of the "Citizens' 9/11 Investigation Commission," once it is funded and seated, will be to engage in a fair and impartial investigation of the circumstances of the attacks of September 11, 2001. The Commission, supported by its staff, will call or subpoena witnesses and hold evidentiary hearings under oath. It will also be empowered to inquire into events leading up to 9/11, as well as those occurring in its aftermath, and will re-examine the findings of any previous investigations. The Commission established by the initiative law will consist of at least 15 members. Commissioners will be selected by the Citizens' 9/11 Commission Campaign steering committee from a screened list of nominations submitted by the public and also from among its own internally compiled list of distinguished citizens. The newly seated commissioners will then elect an executive director who will hire staff. The final report on the Commission's findings, due no later than January 1, 2015, can be used by a state or federal prosecutor to issue indictments if and when appropriate. "The previous 9/11 Commission report," noted Aucoin, "did not hold any U.S. government officials responsible for possible negligence or for intended or unintended missteps that led to the events of 9/11. Well-established rules of evidence were never applied to the original Commission's finding, which alleged that Osama bin Laden and a list of co-conspirators committed the crimes. The intent of our approach, by contrast, is to hold all parties to this tragedy accountable under the criminal laws of the State of Massachusetts or the laws of any other state that joins our effort." Notably, other states and even cities and towns may enter into a "joint-powers' agreement with Massachusetts if the initiative law passes. The authorized powers of the new commission can be extended to any state, city or town that enters into this agreement for cooperation. "The Citizens' 9/11 Investigation Commission created by the Massachusetts law may exercise all investigatory powers of each state that has entered into the joint powers agreement," explained Gravel, "including but not limited to the power of subpoena in that state and the power to take testimony under oath." Using several different state initiative laws to create one citizens' commission, thereby creating a de facto national effort, is without precedent, but has already been legally accepted in principle by the offices of legislative counsel of the states of California and Oregon. "The law now submitted to Massachusetts," said Gravel, "was in fact drafted by me in cooperation with Oregon's State Office of Legislative Counsel. I then slightly altered it for introduction in Massachusetts. We will file the Oregon document shortly. Our intent is to keep the Oregon and Massachusetts texts -- and that of any other state initiative that we file -- as similar as possible." He also said he spoke to a demolition expert, who I assume was probably someone like Brent Blanchard, and I'm guessing they told him it would be impossible to demolish those buildings. I called it! The demolition expert they spoke to on the top floor of the new Building 7 was Brent Blanchard. 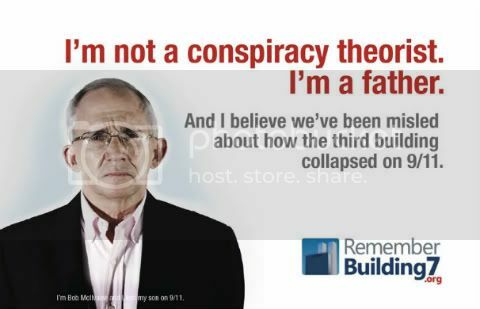 Strangely enough though, WTC7 was not mentioned at all in the Conspiracy Road Trip program. Instead they showed Charlie asking him why the upper floors of the south tower didn't fully topple over. Brent Blanchard's response was that a slight tilt would drastically lower the support and so there was no way to go but down. Really? What about the conservation of angular momentum? You know, that principle of physics that keeps spinning-tops spinning?! Also, how does a 'pile driver' impacting the lower floors at a 20 degree angle crush them so symmetrically, as observed in this video? Next we have probably the only good thing about this program. Tony Szamboti shows two of the British truthers the Active Thermitic Material paper and mentions that the red chips react. He also mentions free fall but again no mention of WTC7 is made. How does the program counter this? The same way Nat Geo did - by supposedly proving thermite can't cut steel. This program was filmed in June - 6 months after Jon Cole demonstrated that thermite-based incendiaries, if used the right way, can cut through steel. What's interesting though is the demonstration they were given was of ordinary thermite, not nanothermite. When Charlie Veitch explained why he no longer believed in controlled demolition, he said he was given a demonstration of nanothermite. Also ... that thermite expert ... could he have a more stereotypical geek voice?! As it turns out, the program didn't mention all the hate Charlie received after changing his mind so that's a plus. This program was more of a documentary about the five British truthers than 9/11 itself. It kind of reminded me of IFC's New World Order film. It was still a hit piece, but more subtle. Like the other BBC pieces, it wasn't so much what was in the program, it's what wasn't in the program that annoys me. I was recently told about this video by someone on YouTube. 0:35 "Steel loses half of its strength when heated to just 1200F." True. But there is no evidence that the fires in WTC7 reached those sorts of temperatures. And scientists on both sides of the argument have shown that the fires could not have reached those temperatures anyway. Also, the experiment shown is from the National Geographic documentary, which is addressed here and here. 1:11 "No water to fight the fires." According to NIST, this apparently was not a "meaningful point of dissimilarity" to other skyscrapers that have been engulfed in fires. 1:29 "Firefighters knew the building would collapse." 1:39 "NIST modeled the collapse, and the models are consistent with the videos." Actually, NIST's models of WTC7’s internal failures are completely inconsistent with videos of the building’s collapse, as pointed out by Dr. Frank Greening. 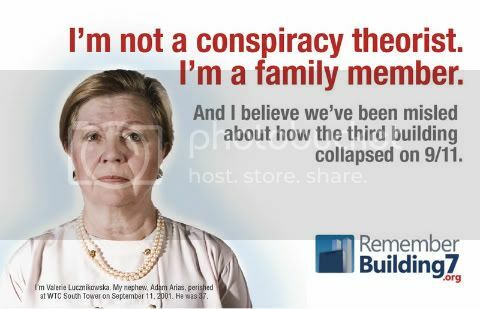 2:11 "Conspiracy sites don't acknowledge the penthouse collapse." Actually they do. Here's one site that examined it extensively. 2:18 "Free fall speed collapse." The building DOES fall in complete free fall for eight stories. 2:34 "Steel can fail due to fire, like the collapse of a steel overpass." Steel can certainly fail due to fire, but the issue is whether or not the fires were severe enough in Building 7 to cause collapse in the first place. 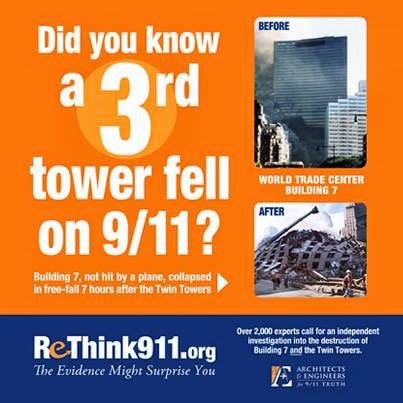 And the collapse of the Interstate 580 is hardly comparable to the collapse of any of the WTC buildings. 3:06 "Building 7 is the only skyscraper to burn uncontrollably for seven hours." As we have already seen, other buildings have burned uncontrollably as well, yet none of them have ever collapsed from fire. 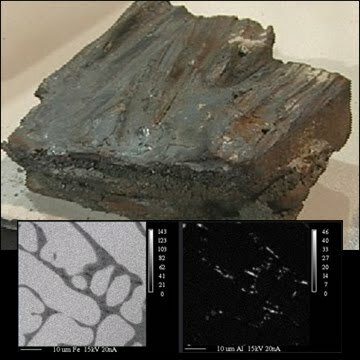 #128 - Pre-collapse molten metal from WTC2 was aluminium from the plane mixed with office furniture, paper, carpet etc. For the millionth time, Steven Jones has done experiments to rule that out! These were the temperatures at the surface. Underneath, the temperatures would have been higher. Richard Gage features this in his presentation. Considering Chris Mohr claims to be 'respectfully rebutting' Gage, he sure does ignore alot of the evidence he presents. If you compare the 25 thermal images by EarthData that are published on their website you can see that the area covered by hot spots becomes smaller over time, but the general location of the hot spots does not change. You have hot spots at the same places for weeks. This seems to be inconsistent with the assumption that the hot spots were due exclusively to underground fires. Any fire at a given location will have consumed all burnable matter at some point and will stop burning at this given spot. Even if you consider that fires might have burnt at different levels at different times under the surface at any given spot, and that a single spot that seems small on the image in fact covered a relatively large area it seems impossible to explain how the heat persisted for weeks at the same spots due solely to burning fires. No planer logic. The fact that some firefighters etc. didn't witness molten metal or extremely high temperatures doesn't refute the fact that others did! Another danger involved the high temperature of twisted steel pulled from the rubble. Underground fires burned at temperatures up to 2,000 degrees. As the huge cranes pulled steel beams from the pile, safety experts worried about the effects of the extreme heat on the crane rigging and the hazards of contact with the hot steel. And they were concerned that applying water to cool the steel could cause a steam explosion that would propel nearby objects with deadly force. Special expertise was needed. OSHA called in structural engineers from its national office to assess the situation. They recommended a special handling procedure, including the use of specialized rigging and instruments to reduce the hazards. 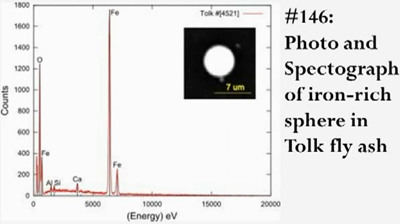 The RJ Lee report estimates that iron spheres made up 5.87% of the World Trade Center dust. The fly ash from pulverized concrete theory doesn't explain the abundance of the iron spheres. 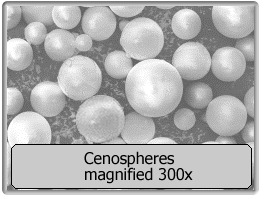 Spheres in fly ash (cenospheres) are hollow and predominantly alumina and silica. Iron oxide typically makes up only about 5-10% of fly ash used in cement. 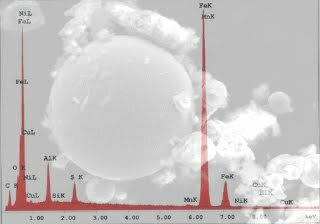 While the WTC microspheres also contain aluminium and silicon, and while we also find silicon-rich spheres, iron-rich spheres are the most common. Fly ash may be the source of the alumino-silicates also abundant in the WTC dust, but that doesn't explain how they were vapourized to a 'Swiss Cheese' appearance, something which requires temperatures in excess of 5000°F! XEDS spectrum for the largest metal-rich spherule found in sample 2. K and L lines for noted elements are labeled after the element symbol. Elemental contents in atomic percent are approximately: Fe (65), O (18), Al (11), S (4), Cu (0.6), Mn (0.6), Ni (0.4); the small C peak is likely from the carbon conductive tab used to hold the sample. The Fe-S-Al-O signature is striking, nothing like the signature of structural steel. Note also: Sulfur peak without a calcium peak, so the sulfur is not from calcium-sulfate contamination (gypsum). Some of these microspheres are hollow, and Dr. Jones has determined that the inside surface of these spheres contain sulfur. This is consistent with a molten droplet containing some gaseous sulfur. The physics of this situation is the same as for bubbles. The surface tension and the internal gas pressure cause the radius of the bubble to adjust to balance these two forces. PS -- some time ago, we crushed a concrete sample obtained from the WTC rubble, used magnetic concentration, and looked for iron-rich spheres. There were NONE found. Any ambiguity there may have been regarding the iron microspheres has now been eliminated thanks to the discovery of active thermitic material. The spheres in the WTC dust are identical to spheres produced during the ignition of commercial thermite and the ignition of the red-grey chips. Neils Harrit: "IT IS BETTER - FASTER." 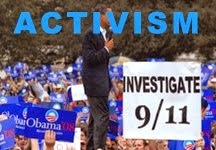 Olberman has stated that it is the Bush administration's "criminal neglect that allowed the attacks to occur." Propaganda Wars, Episode 2: The BBC Strikes Back! Each of them believes different elements of the conspiracy theories. Charlotte, a North London nanny who witnessed the attacks, thinks the American government is responsible. She can't believe the hijackers, barely out of flying school, could have steered jetliners into the Twin Towers with such deadly accuracy. Rodney a health worker who studied biochemistry suspects the collapse of the towers was not caused by the planes that went in to them and he wants to get to the bottom of the science. Student Emily, an active member of the 9/11 Truth Movement, thinks the US government was forewarned of the attacks and yet ignored the intelligence allowing it to happen. Shazin, a qualified surveyor, wants to find out how the passengers on United 93 could have made phone calls to loved ones from a plane. And Charlie, an ex-banker thinks 9/11 was an excuse for the US Government to go to war with Iraq. Andrew Maxwell thinks all five of them are wrong and wants to change their minds by confronting them with the facts. So as the bus criss-crosses the east coast of America he tries to convert them to his point of view. He wants to prove to them that 9/11 was no conspiracy and that sometimes the truth, whilst not easy to accept, is staring you right in the face. In order to do so, he takes them to meet experts, the chief air traffic controller on the day, demolition specialists, voice morphing engineers and he gets them to conduct scientific experiments and even fly an aeroplane. Andrew Maxwell fights an exhausting battle for the truth and in his mission to convert his fellow travellers there are rows, falling-outs and tears. But there are also moments of tenderness, empathy and warmth. This is the documentary that Charlie Veitch took part in and was supposedly converted during the filming of. Apparently, they do an experiment with 'nanothermite', which will be interesting. I've got a feeling though the negative reaction Charlie received is going to feature in the program and they're gonna make the 9/11 truth movement out to be a cult. This one might be a propaganda win for the BBC. All their Conspiracy Files pieces have been so bad they've woke more people up but this one could be very dangerous.